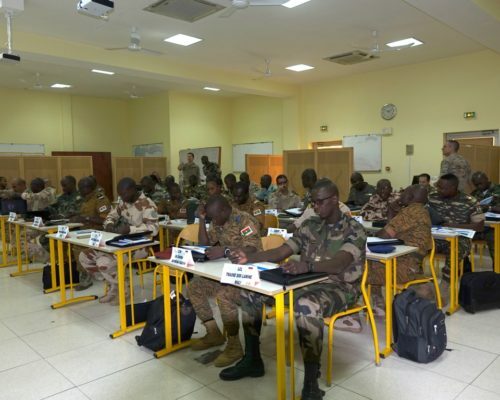 V Staff Officers' Course of the G5 Sahel Joint Force in the "École de Maintien de la Paix"
Of the many activities being conducted by EUTM Mali in support of the G5 Sahel Joint Force (FCG5 Sahel), the 5th training course has just been completed. 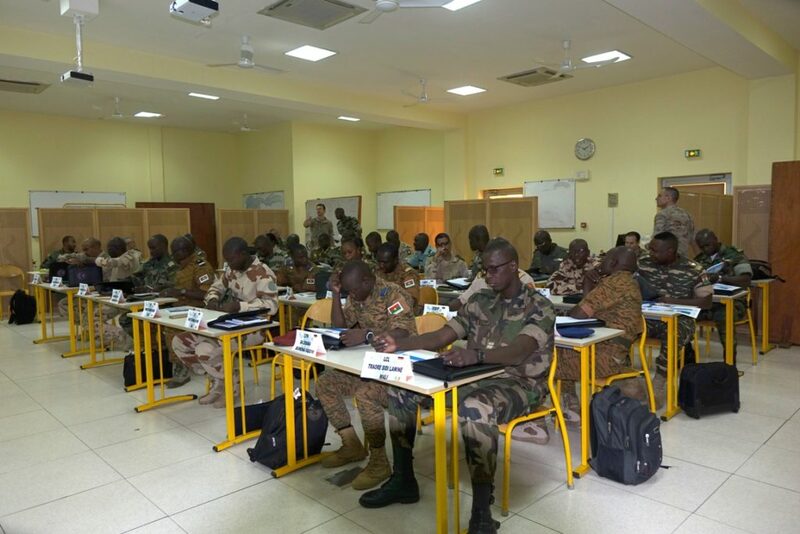 The course entitled “The FCG5 Sahel Tactical Command Post Staff Techniques Revision Course” was conducted in the “l’Ecole de Maintien de la Paix (EMP)” in Bamako from 12 to 23 March 2018. 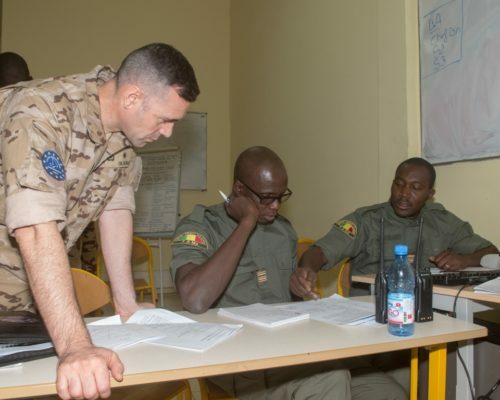 Over two weeks, 26 instructors from EUTM Mali, the Malian Armed Forces (MaAF), EMP, FCG5 Sahel (composed by Mauritania, Mali, Chad, Niger and Burkina Faso) and the French Training Element in Senegal (EFS) worked together to train 30 officers appointed into the four different Command Posts/Headquarters of the FCG5 Sahel, from the five FCG5 Sahel countries. 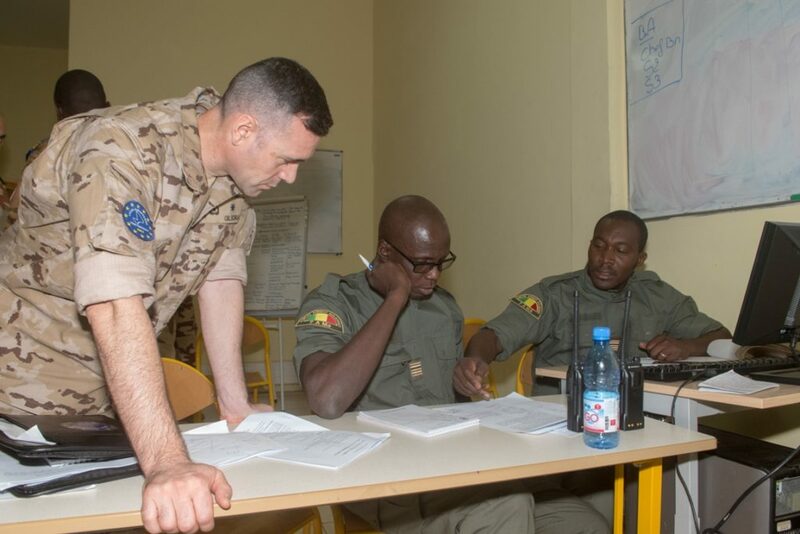 During the course the trainees have completed a full review of the procedures required for the efficient planning and conduct of military operations. 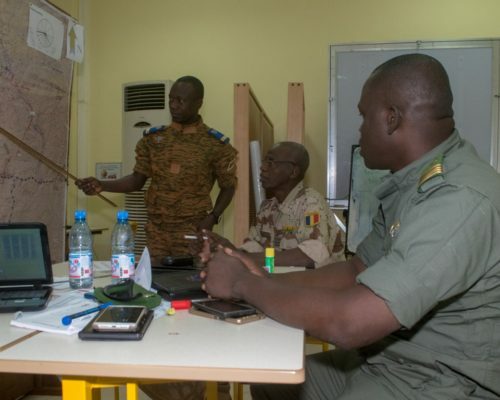 The first week of the course was devoted to theoretical lessons relating to the security situation in the Sahel region, the operational environment, legal aspects of army operations and tasks and organization of a Command Post/Headquarters. 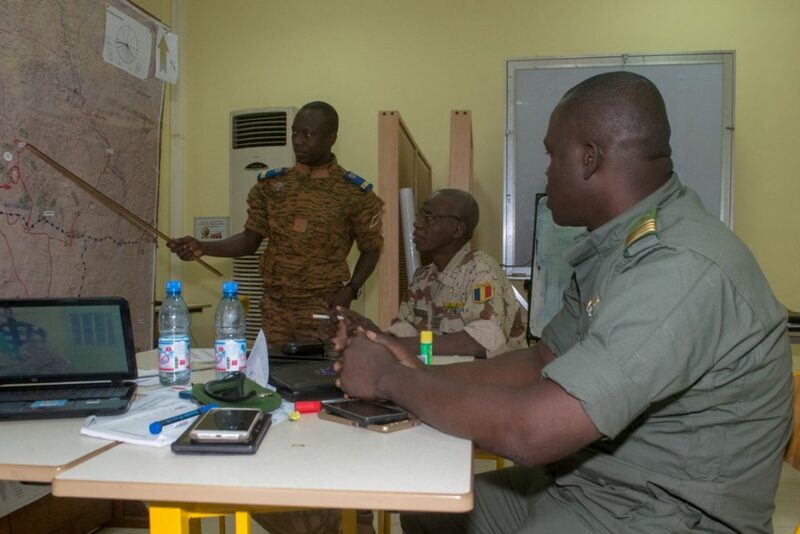 During the second week a practical exercise was set up in order to test all the lessons learned and to gain a deeper knowledge of military operations. 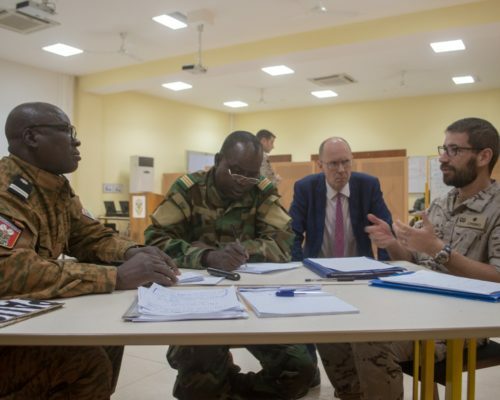 The exercise was a great success. 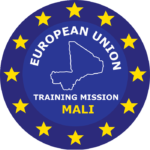 The trainees were required to produce Operations Orders under time pressure while concurrently managing a number of ongoing incidents and complex scenarios. 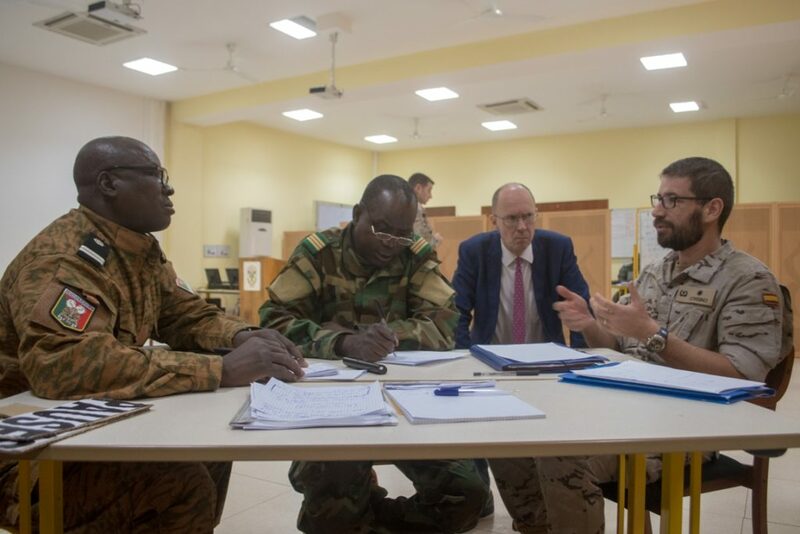 This has facilitated a useful coordination training with all of the Command Post’s branches and departments. 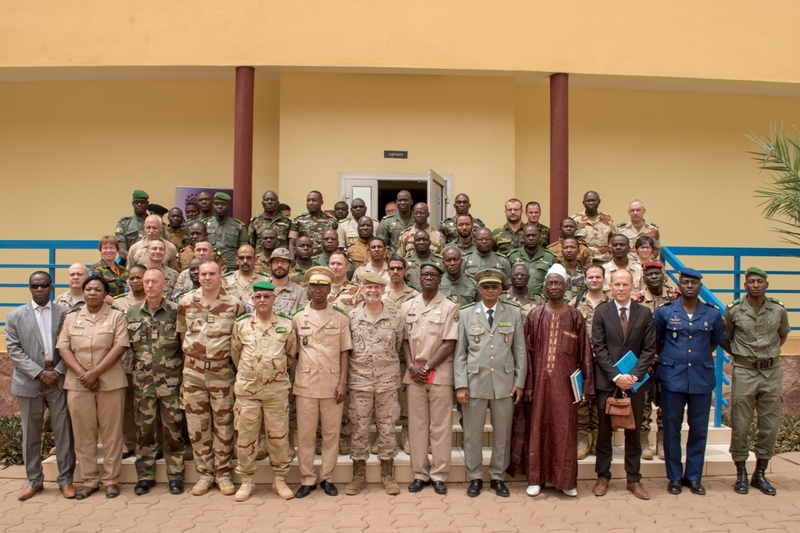 This highly successful course finished on the 23 March 2108 with a closing ceremony in the EMP chaired by the Mission Force Commander Brigadier General Enrique Millan and the Colonel Issa Coulibaly, the acting Director of the EMP.